James was born almost a year ago, and was recently adopted by my nephew and his husband. 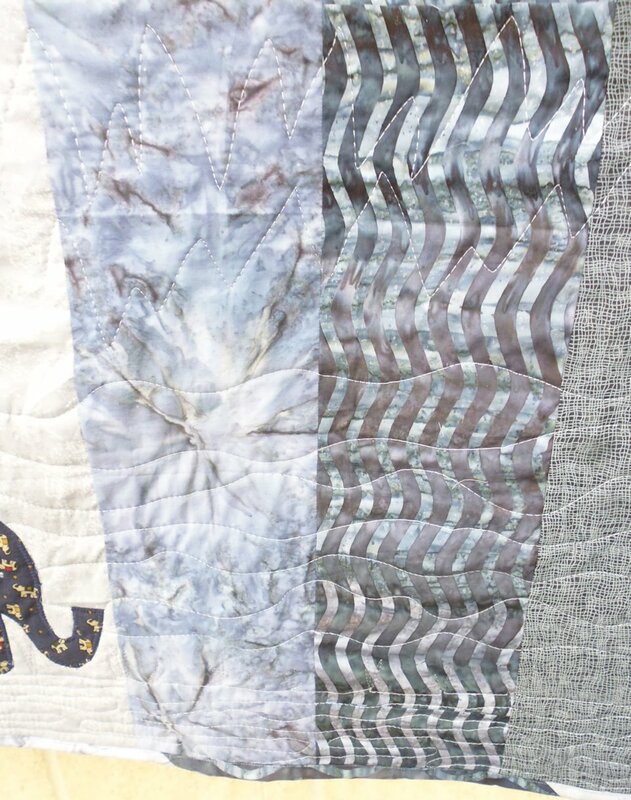 Of course, a new child means a new quilt! 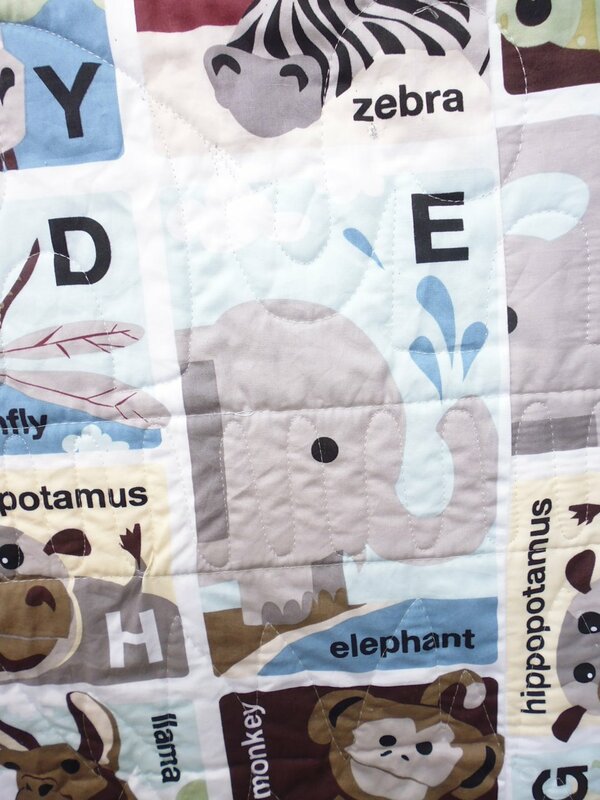 When I asked, they said his nursery was in tones of greys and blues, with elephants a big theme. 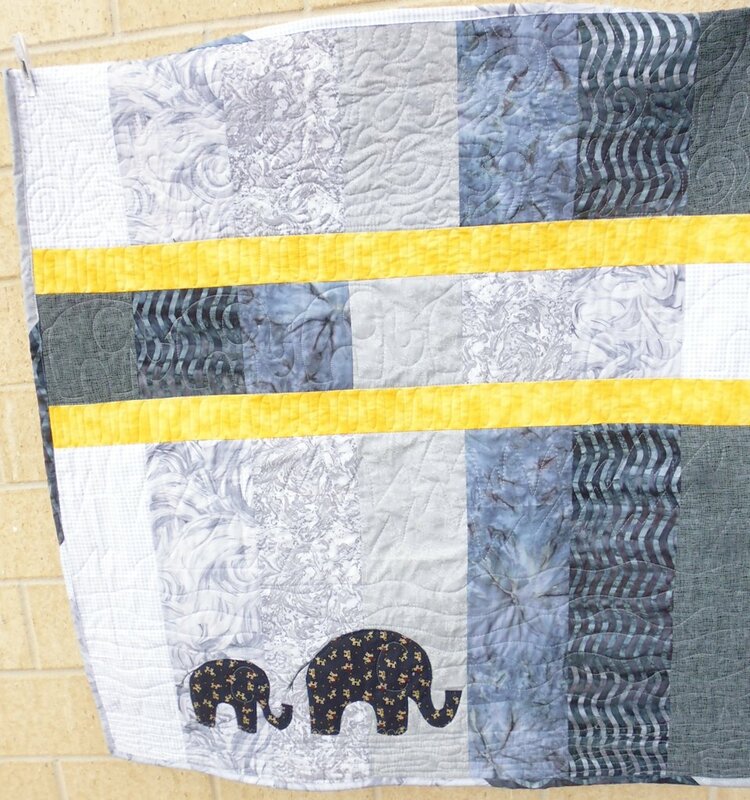 So an elephant quilt it was — I even had some fabric printed with tiny elephants that I used for the appliqued elephants. 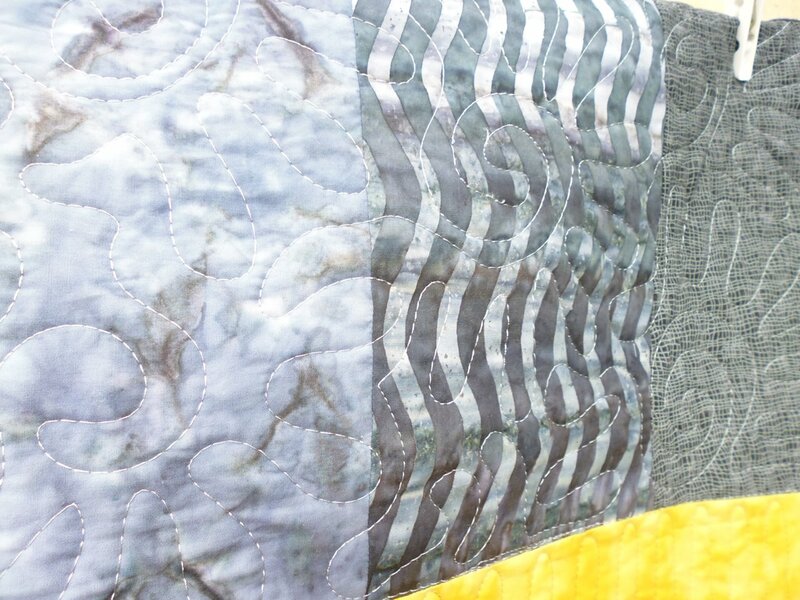 For the quilting, I did narrow wavy lines with grasses popping up every so often to represent the ground below the elephants, followed by wider wavy lines representing heat haze, then spiky lines representing mountains in the distance. 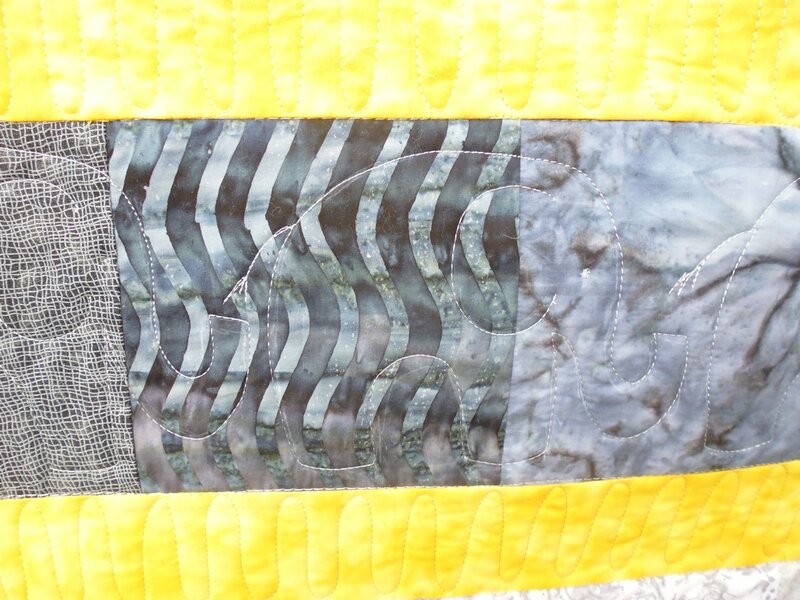 Another picture showing the quilting. 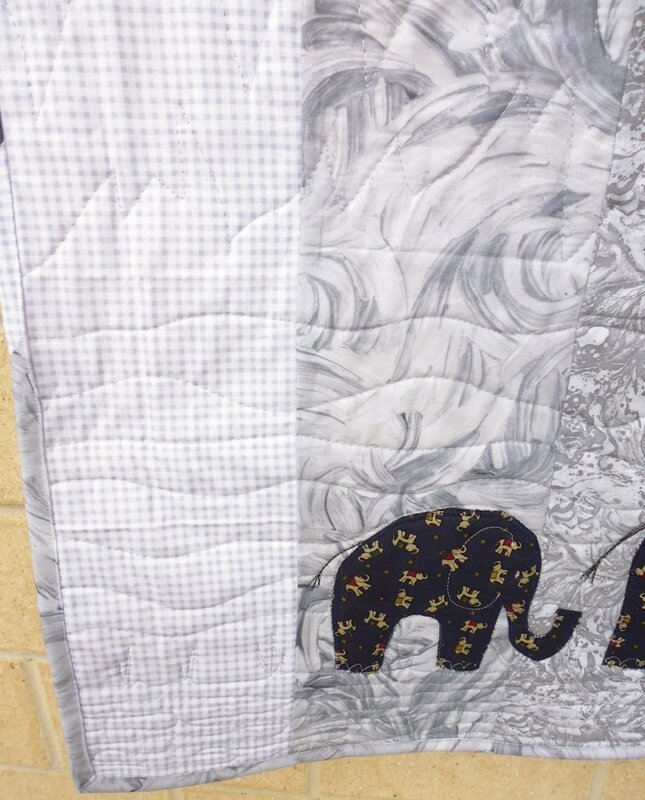 You can just see the tiny elephants on the fabric used for the appliqued elephants. 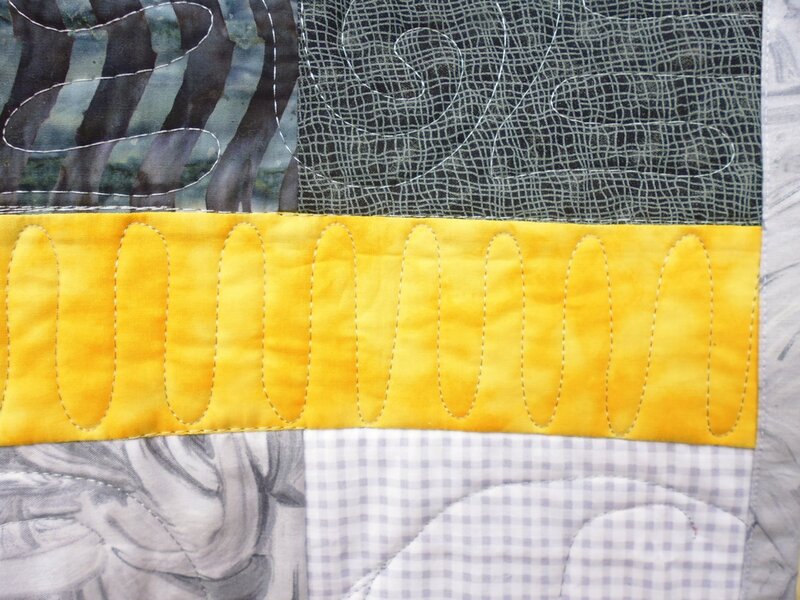 I stitched continuous ‘u’ shapes in the yellow strips. They have no particular meaning. 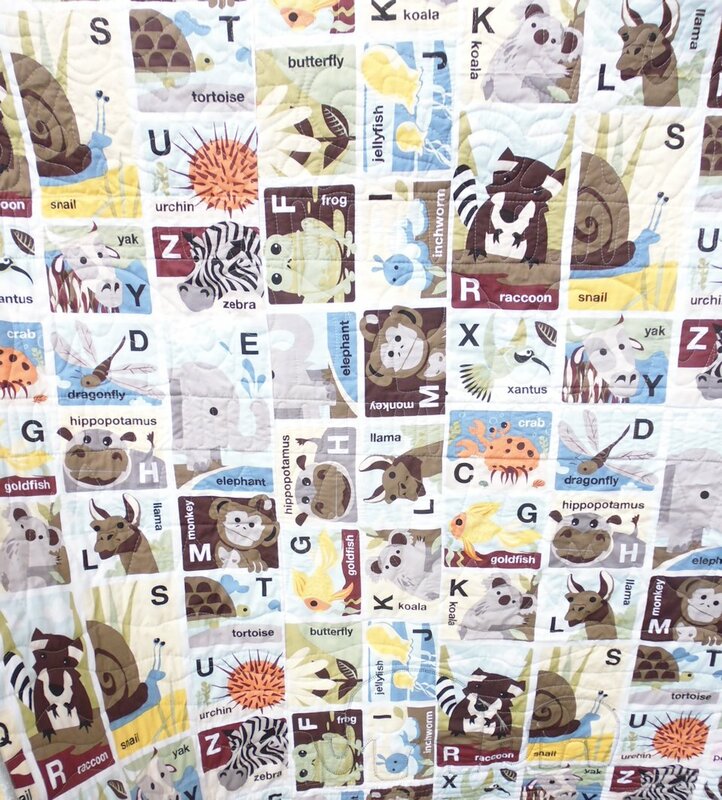 And of course, the animal alphabet backing fabric had ‘E for elephant’!